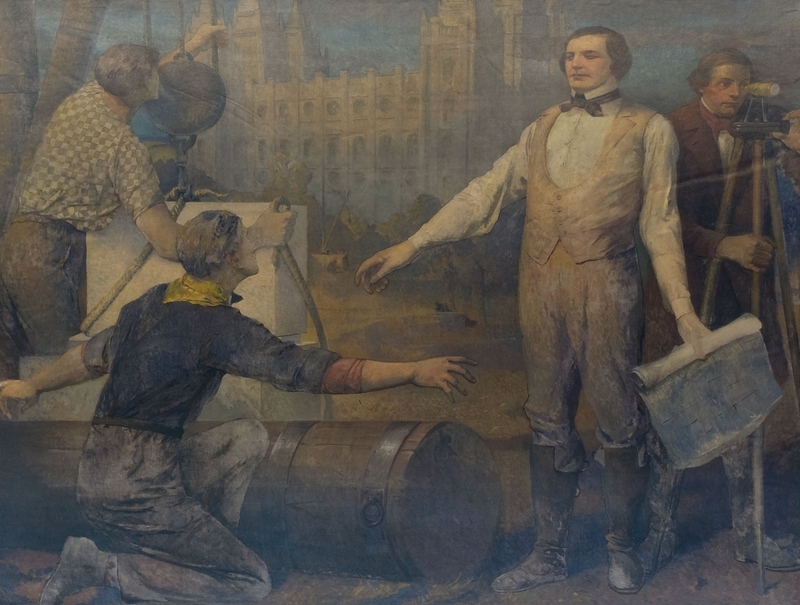 The first two House murals were painted by two New York artists. 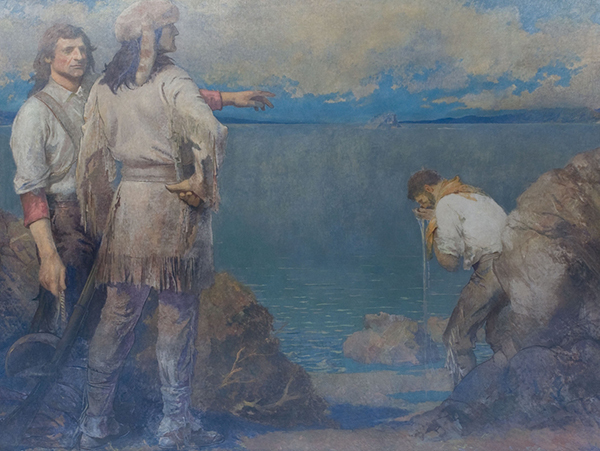 The east cove features Alonzo Earl Foringer’s Jim Bridger and the Discovery of the Great Salt Lake. 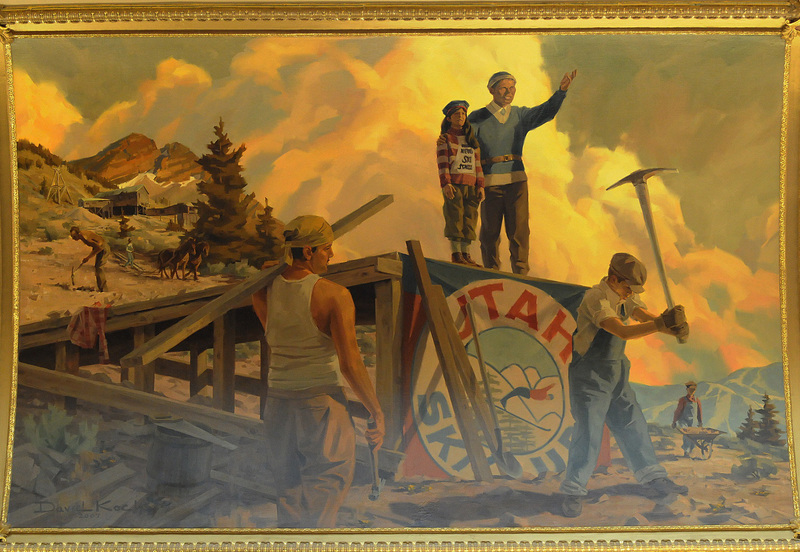 Italian immigrant Vincent Aderente’s mural, called Dream of Brigham Young, is in the west cove. 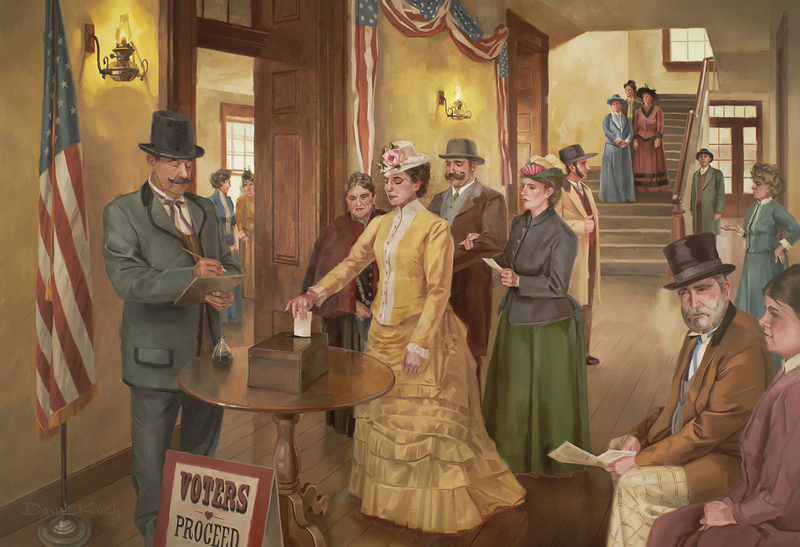 During the Capitol renovation, Utah painter David Koch was commissioned to interpret historic events for two new murals in the Chamber: women gain the right to vote in the Utah Territory in 1870 (represented by Seraph Young casting a ballot); and the Engen brothers build their first ski jump, a signal that outdoor recreation would replace mining as the primary economic engine of the state.